My radio career started in 1993 with Radio Festival doing the breakfast show & 1994 Rhythm Radio doing the drive time show both being RSL stations. During this period it had made a huge impact for the Leicester listeners & Asian radio in whole. It was during this time that I was able to create my very own style of broadcasting and many of the features are now embedded on ‘The 6-2-8 Show’ on Sabras! Remember there was no social media to boost up the ego, one had to be creative, professional and do some real ground work! The 6-2-8 show is a prime time tailor made light entertainment for the evenings. 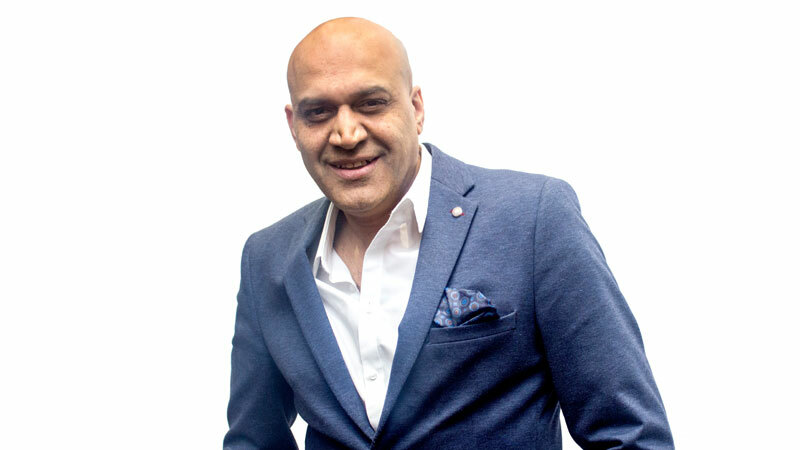 My improvised features in part one of the show include traffic & travel updates, business & financial updates, my weekly Hitlister song, a Bollywood Masti competition which ends 7:45pm where one lucky listener will get a live call from me. Also every night a feature of ‘What’s Cooking in Your Kitchen?’ where the listener can contribute their evenings cooking tips! In part 2 of the show the competition continues with an update of the days sports headlines & at 7:25pm a quick look at the events diary & from 7:30pm A very special feature to slow down the evening with ‘Love in the City’ 30 minutes of the finest love tunes! Thursdays special feature also includes choice of one listeners Ghazal choice song to be played in part two. Wednesday is mid week retro night playing the finest 70s & 80s songs & a singing competition. Friday is a magical evening of 70s & 80s retro songs including some of the best in disco songs & in part two rewind to some of the amazing Amitabh Bachchan retro film songs. What’s the one thing that drives you in making your show better than? Memorable moment for me is when a listener calls to tell me they love my voice or for that matter I bring back their child hood memories through the music I play or they have to have to talk to me before I finish my show. I am where I am in life & in this world because of my dear parents. Growing up in the 70s with no care in the world & where everything was so innocent! Too scary to even think about! !